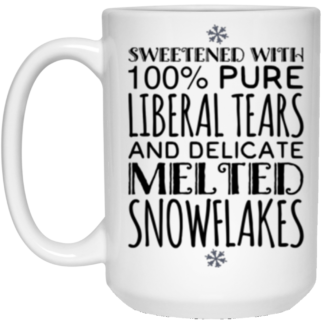 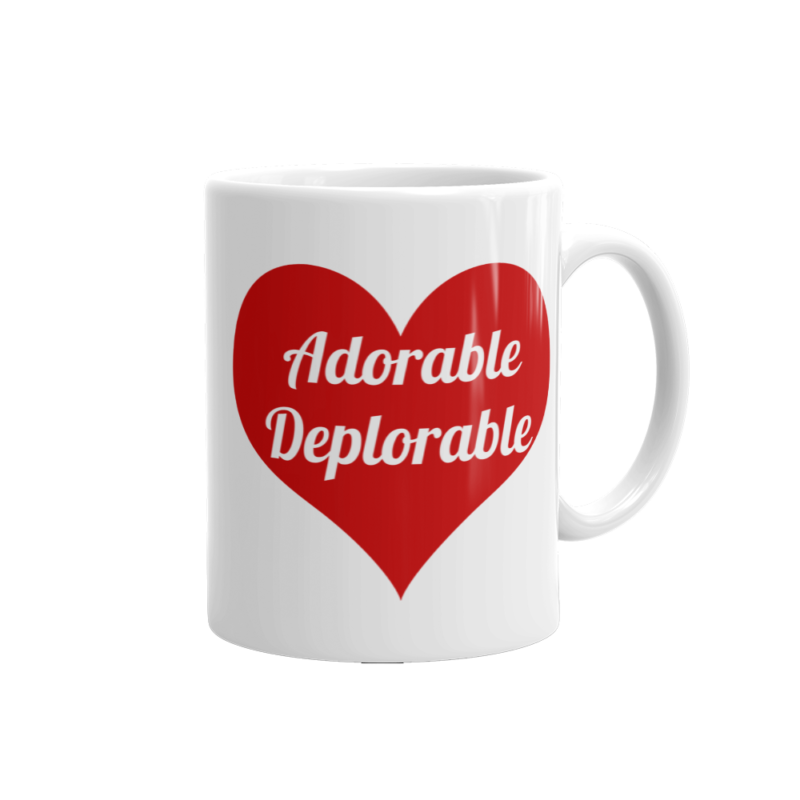 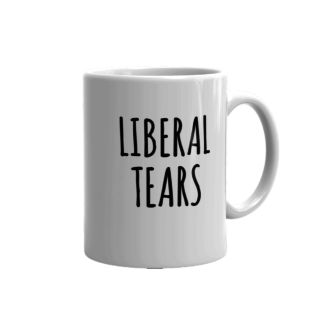 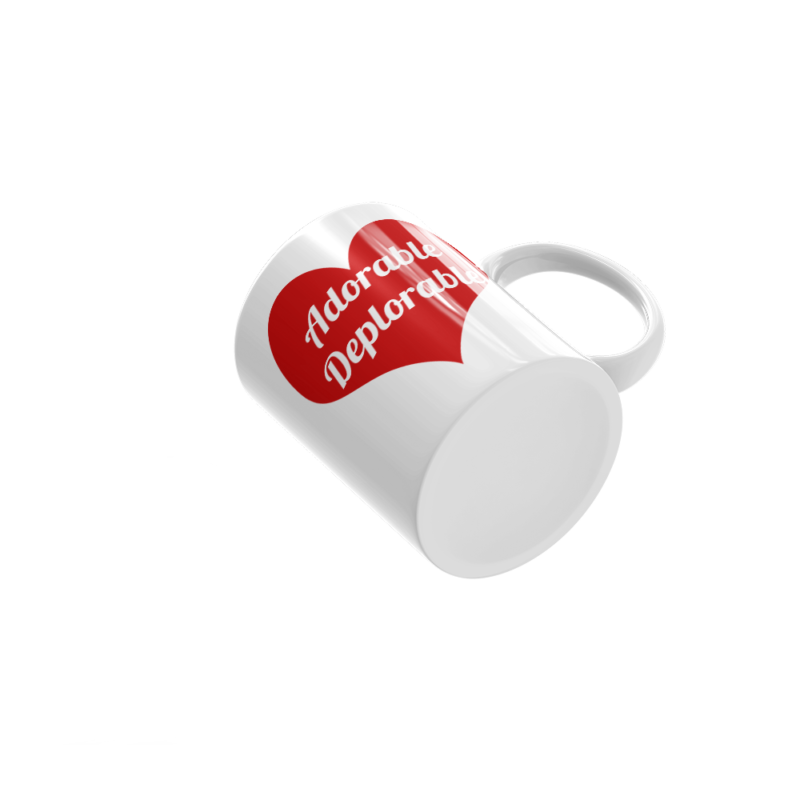 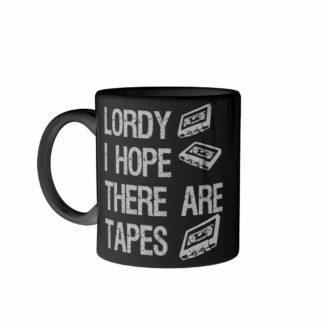 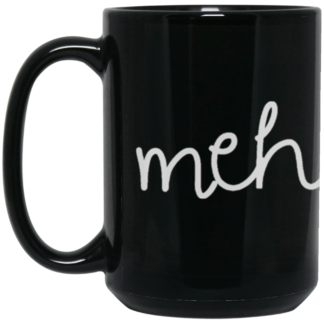 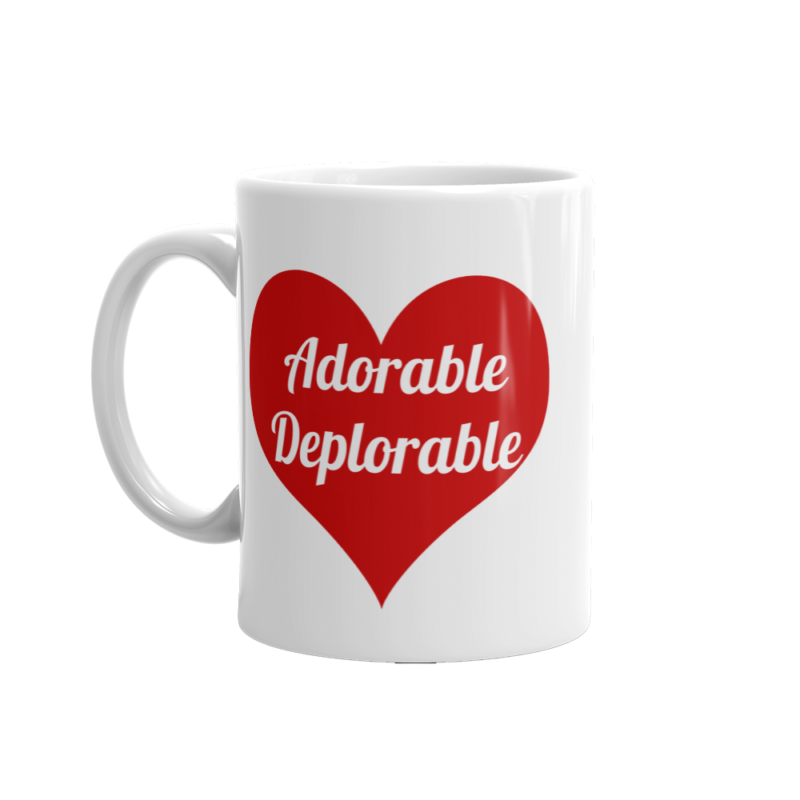 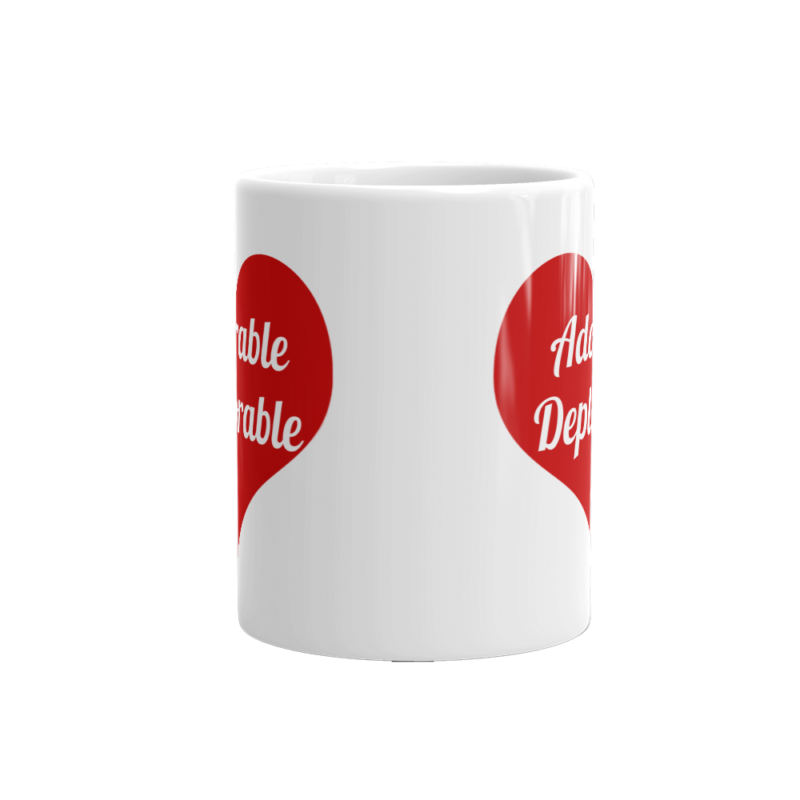 Adorable Deplorable Mug with red heart design. 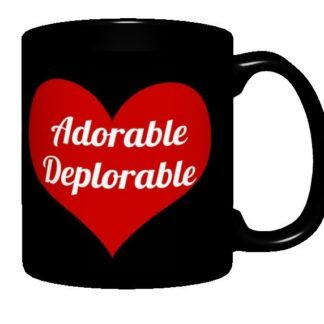 Hillary for prison because she’s crooked, President Trump and the basket of deplorables are on the case! 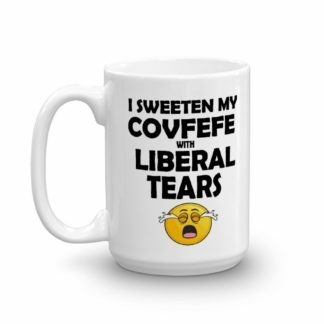 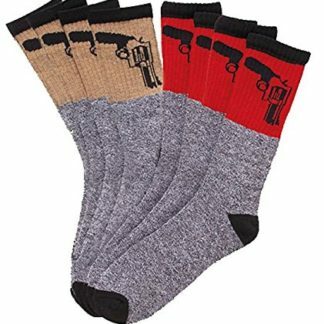 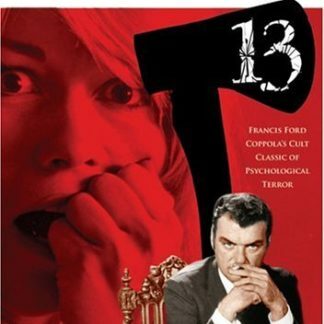 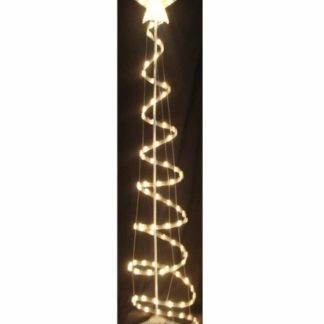 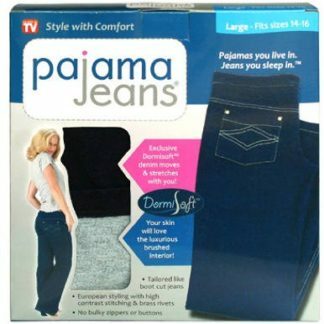 Go ahead and get it, your liberal friends will hate you for it.